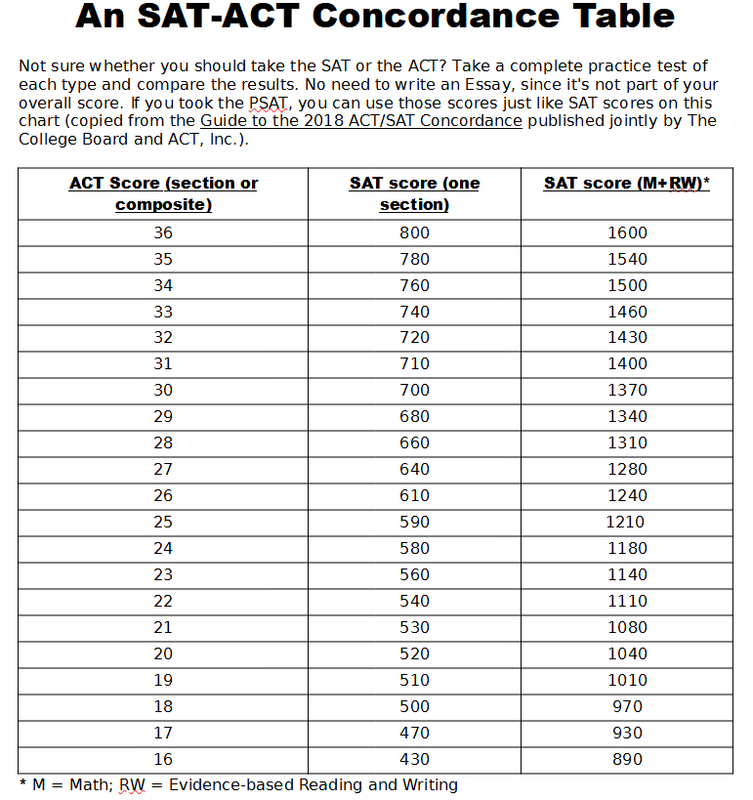 SAT or ACT: Choose Wisely! If you take a stroll down the “Test Preparation" aisle of your local bookstore, you'll see several dozen books about how to prepare for the SAT and almost as many about the ACT. Search for an accurate guide to the differences between the two tests, though, and your options are extremely limited. The major test prep companies don't have a strong incentive to enlighten you, since they would prefer that you learn the hard way, by signing up for an expensive SAT or ACT course. Consequently, many students start from square one when the time comes to decide which exam to take. The ubiquitous cliches about the two tests - “the ACT is easier", or “some schools prefer the SAT" - only make matters worse. In order to clear up some of the confusion, I give a free 40-minute presentation at libraries and high schools in northern Virginia and Washington, DC entitled “SAT or ACT: Choose Wisely!" My primary goal is to cut through the platitudes and present the facts about the two tests, so that by the end of the lecture students will know how to determine which exam is the best one for them. We will also review the facts on Redesigned SAT that touched down (or, rather, crash landed) in March 2016. Finally, we will go over the dubious history and purposes of the two tests, so that you can approach the examinations with a healthy skepticism rather than a sense of dread. If you would be interested in having me speak at your local school, library, or in your home, please schedule a time to talk. Here is a copy of the Powerpoint presentation I use when I give my talk. It's openly licensed (a Creative Commons Attribution-NonCommerical-ShareAlike license, to be precise), so please share it with whomever you please. Just don't try to sell it and we're cool.